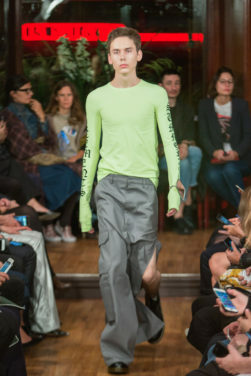 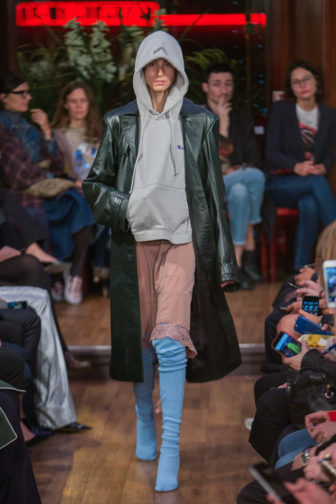 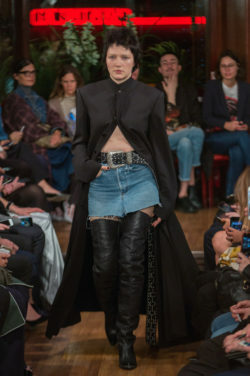 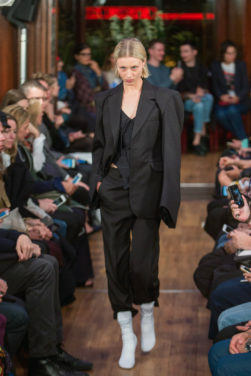 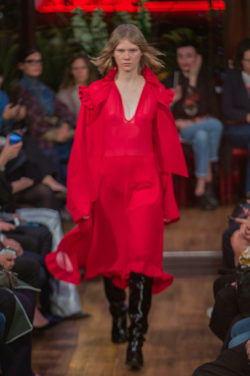 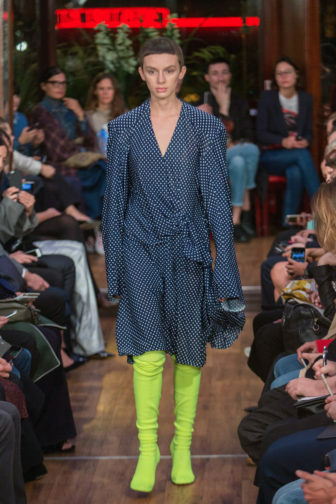 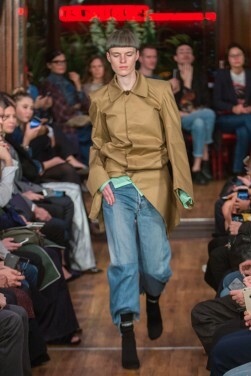 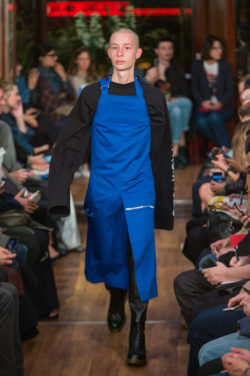 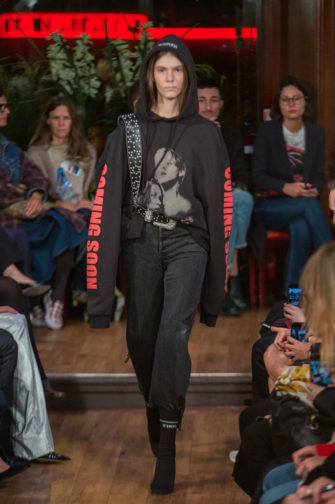 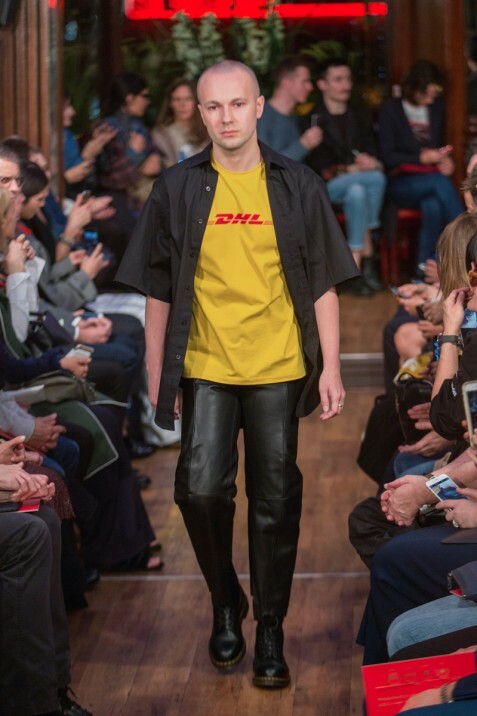 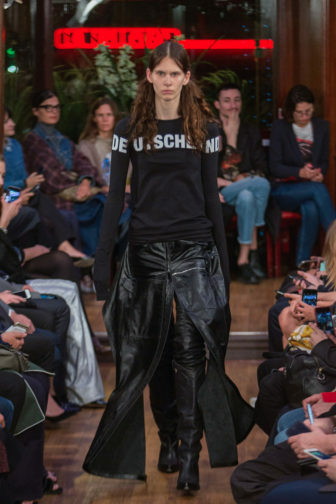 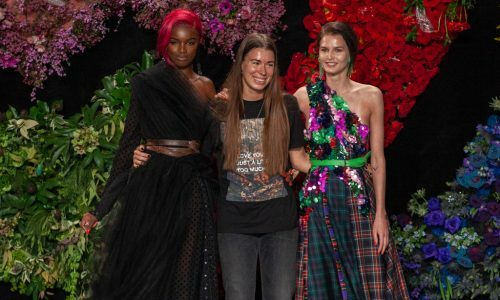 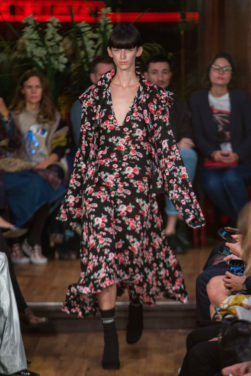 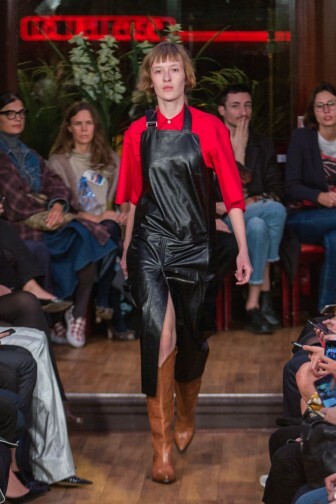 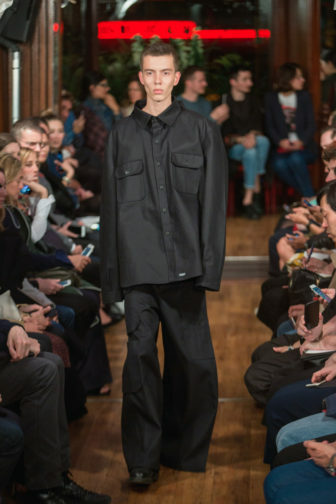 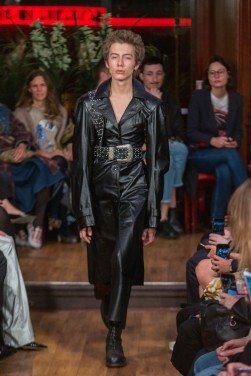 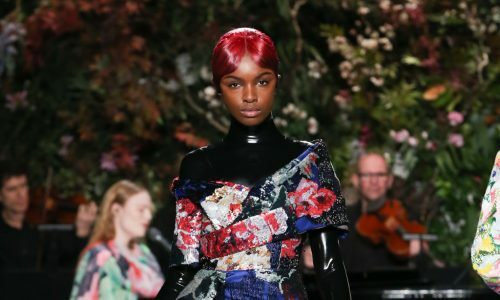 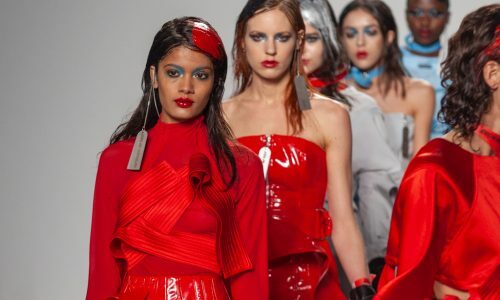 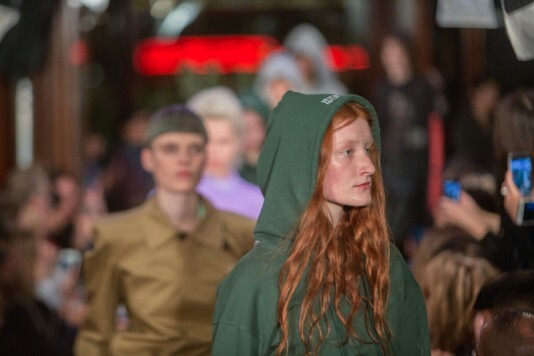 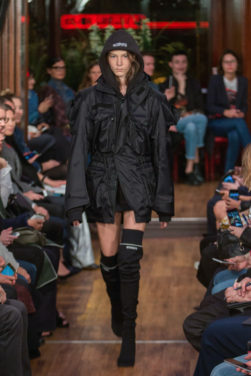 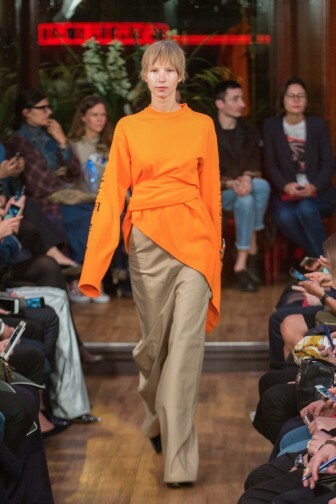 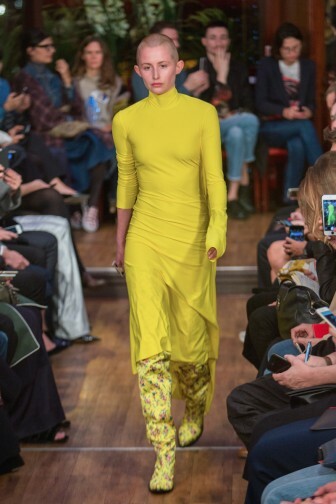 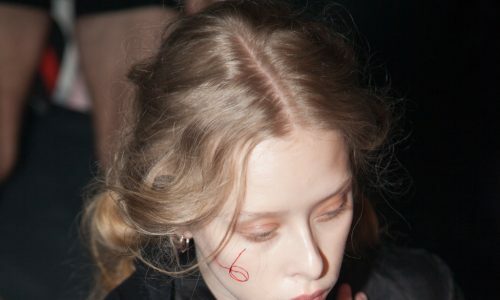 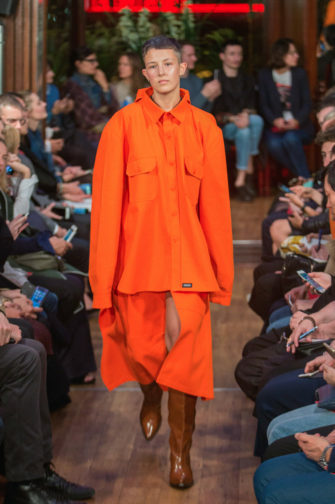 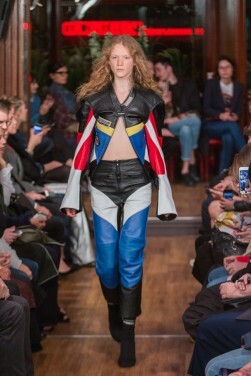 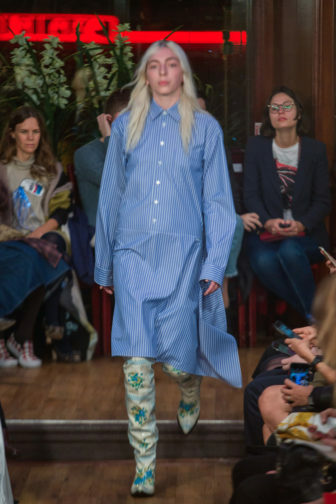 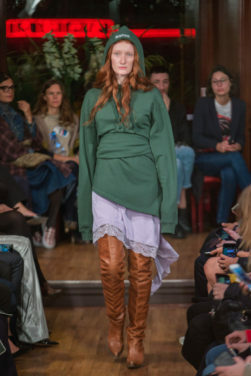 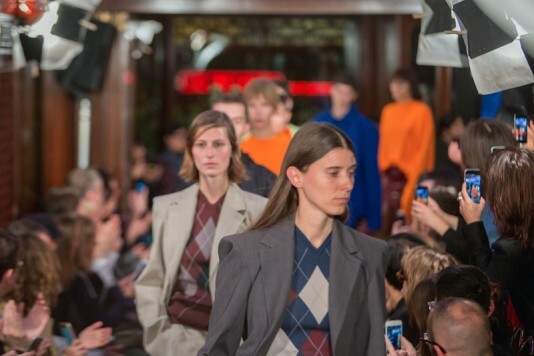 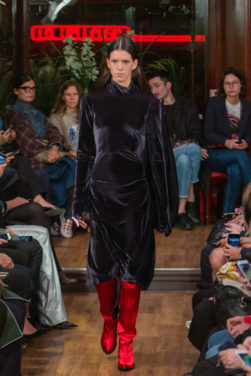 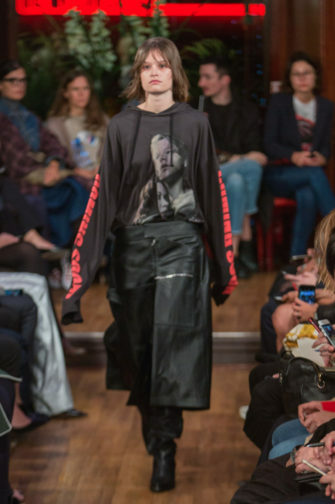 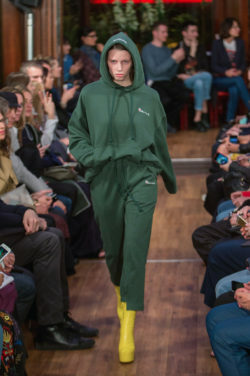 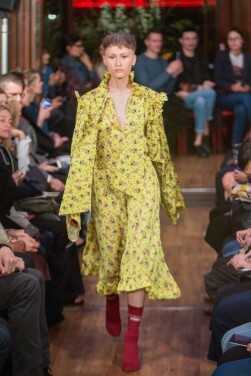 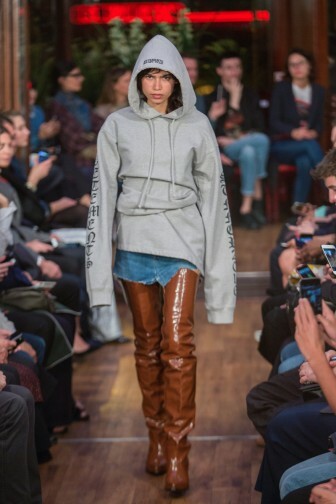 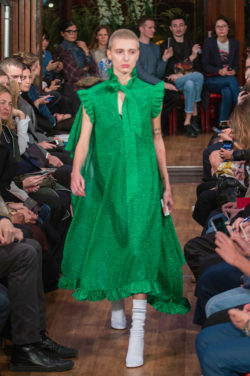 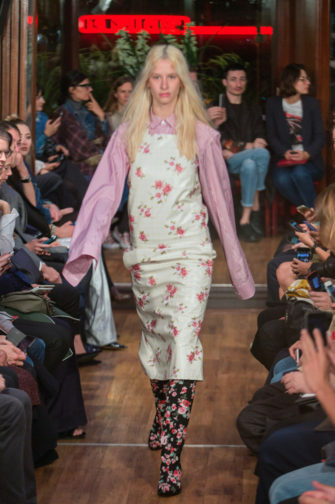 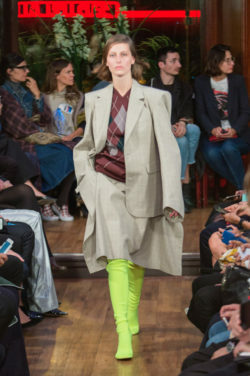 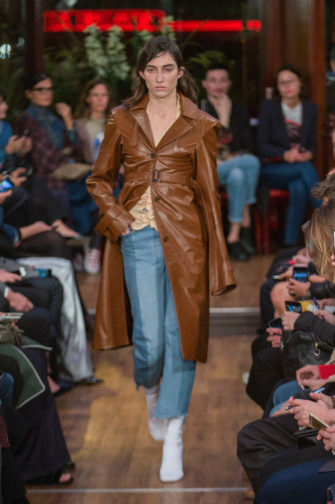 Vetements presented a colourful spring/summer 2016 collection at Le President for Paris Fashion Week. 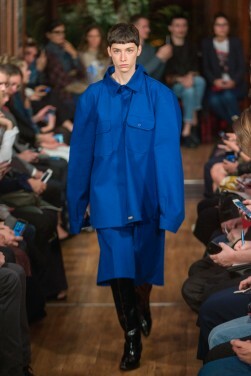 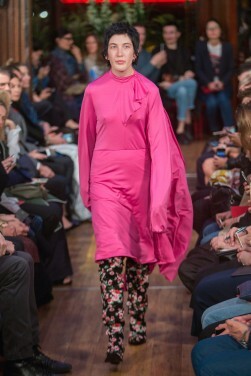 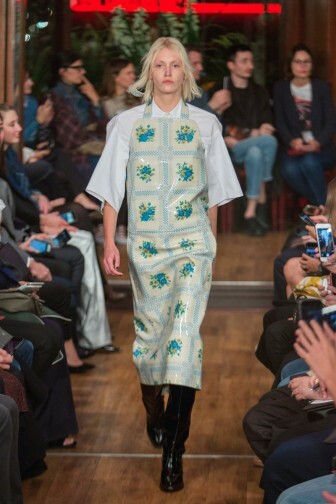 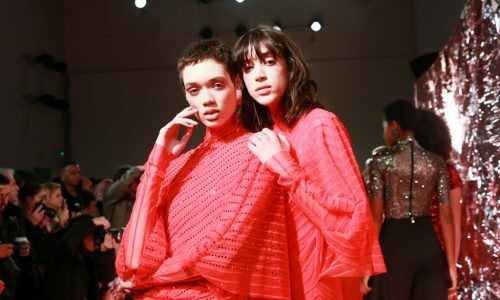 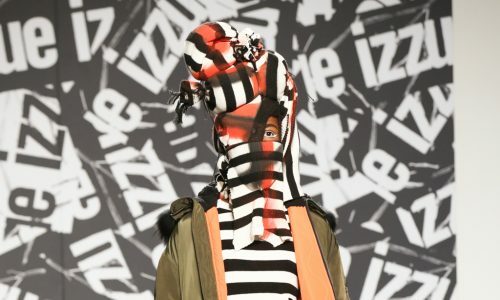 The new looks were playful and took rainy day comfort then combined it with high fashion. 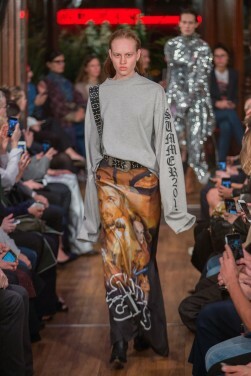 Several designs were floral and bright where as others were dark with images of icons embellished on them.